The T8 range offers a whole host of customisable features to ensure that it perfectly matches your operating requirements. 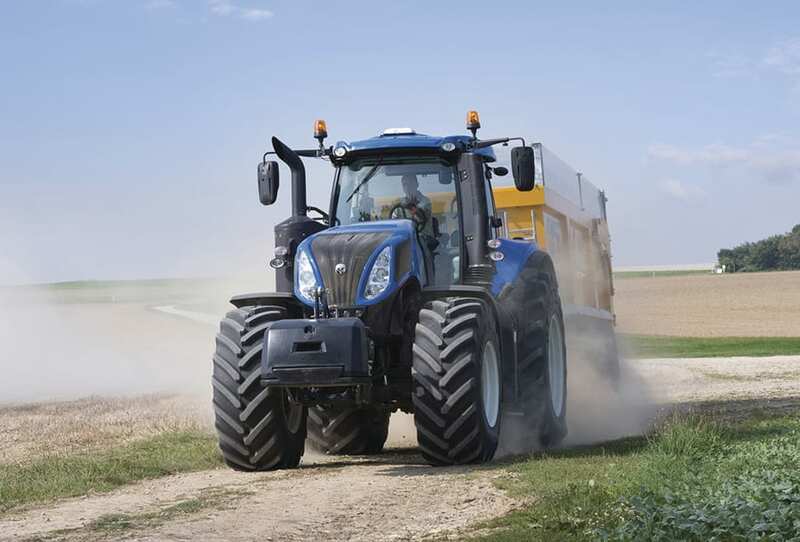 Choose between the all-new Auto Command™ transmission for precision speed control in all tasks and the Ultra Command, the most powerful full powershift on the market. 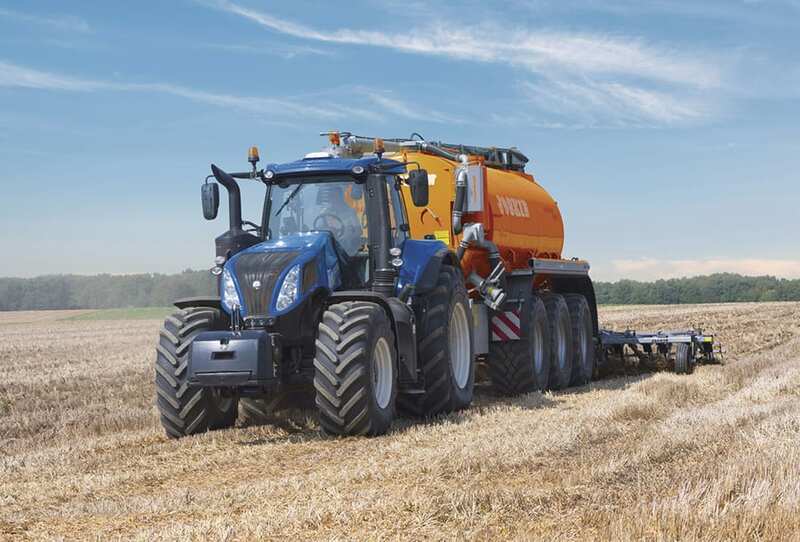 The IntelliView™ IV wide colour touch screen is standard and perfect for machines equipped with the optional factory fitted IntelliSteer® guidance solution. 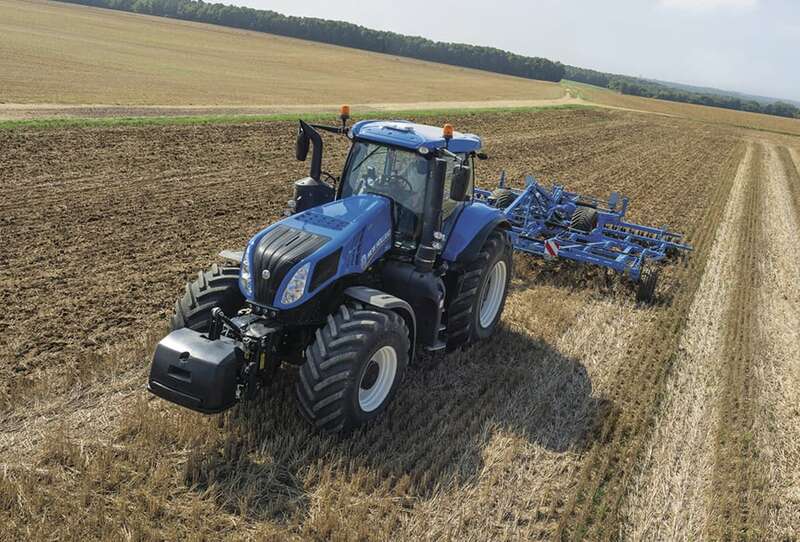 A fully integrated front linkage and PTO will be music to hay and forage contractors ears. 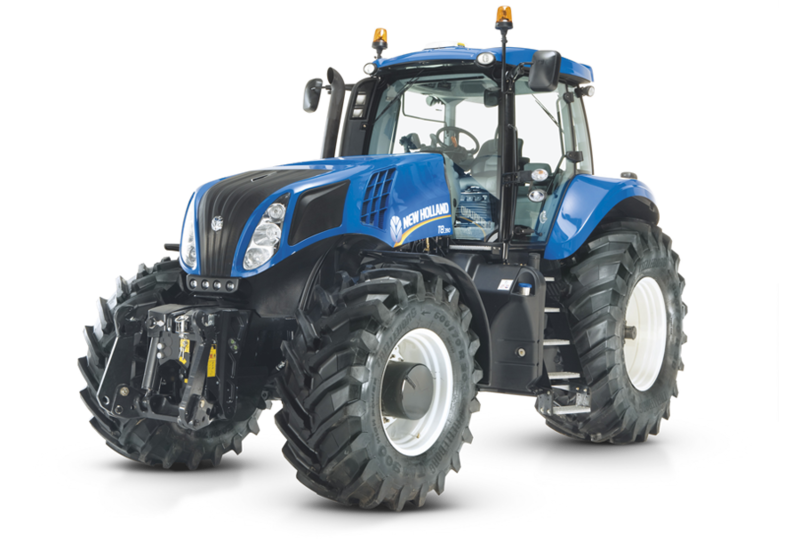 Finally, compatibility with a vast range of tyres, up to the tallest 2.15 metre 900/60R42 variants reduce in-field compaction and increase traction, all whilst respecting the stringent three metre transport width. T8. Doing whatever you want it to. Alternatively, the top three T8 models are also offered with the unique SmartTrax™ rear track system. A choice of track widths and settings are available to suit general or specific requirements. 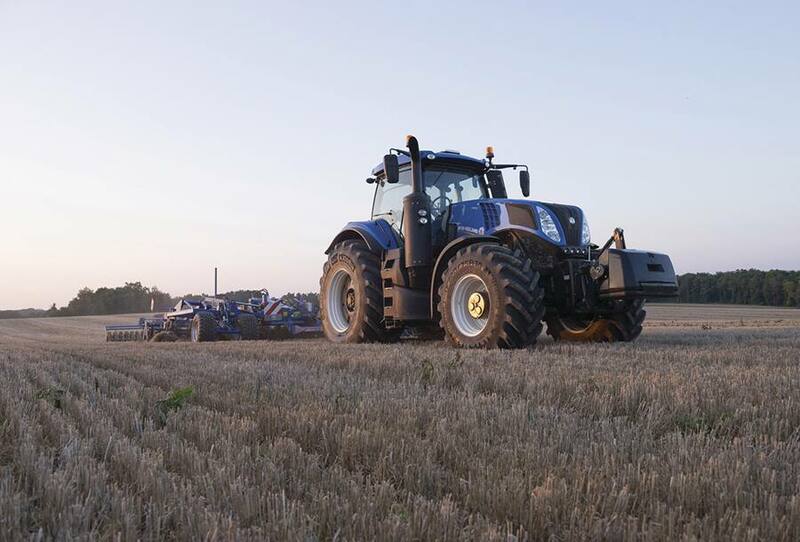 The long wheelbase and flexible ballasting options mean that the T8 offers ultimate in-field performance in high speed cultivation tasks. 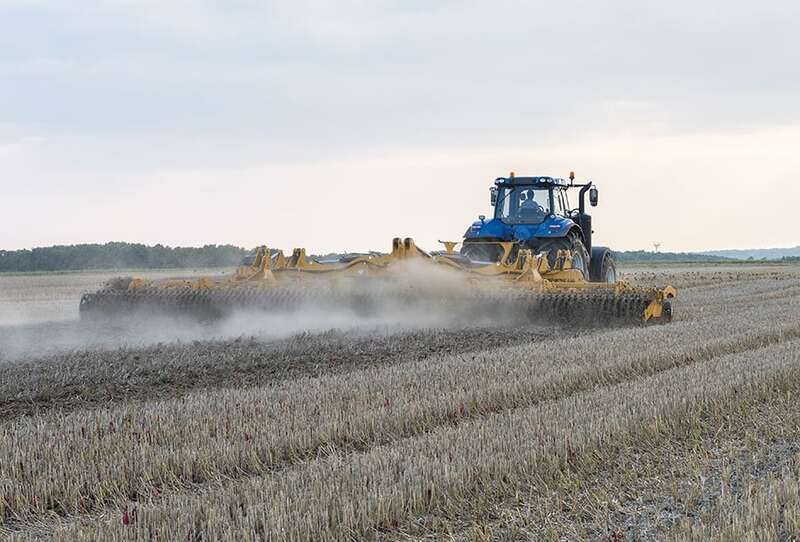 The Terralock™ traction management system ensures 100% of the power is transmitted to the ground. Terraglide™ front axle suspension improves traction and enhances comfort by counteracting bouncing whilst lifting even the heaviest rear mounted equipment. 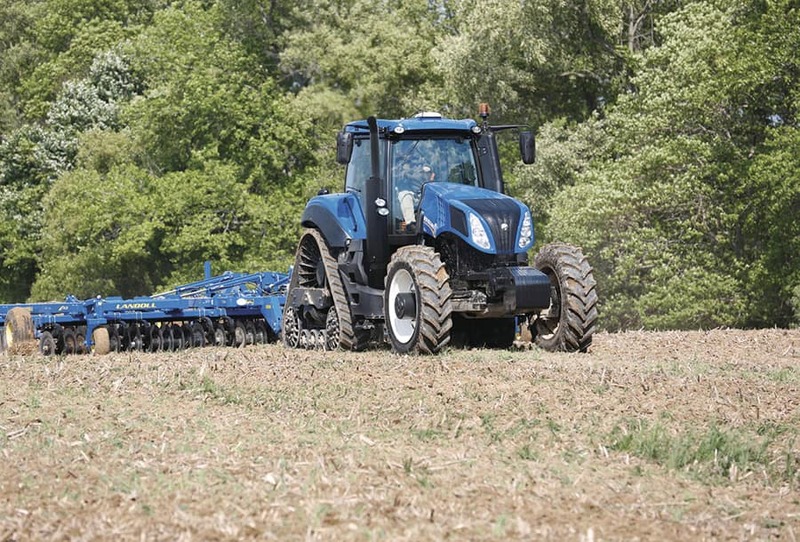 Improved transient response maintains performance in demanding conditions: if you encounter an area of compaction, the engine will respond immediately for zero slowdown. Ground Speed Management ensures forward speed is always achieved at the lowest engine speed. Productivity. Comfort. Efficiency.T8. 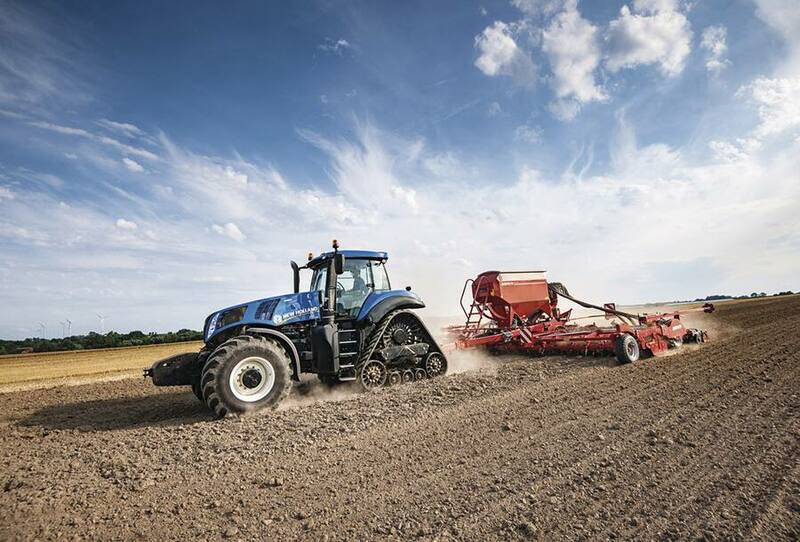 Combine fully integrated IntelliSteer® auto guidance with the optional IntelliView™ IV colour touch screen monitor for the ultimate sowing and planting experience. Want more? The T8 is fully ISOBUS II compatible for single screen operation and uncluttered cabs for unfettered visibility. All key controls fall perfectly to hand on the multi award winning SideWinder™ II armrest. 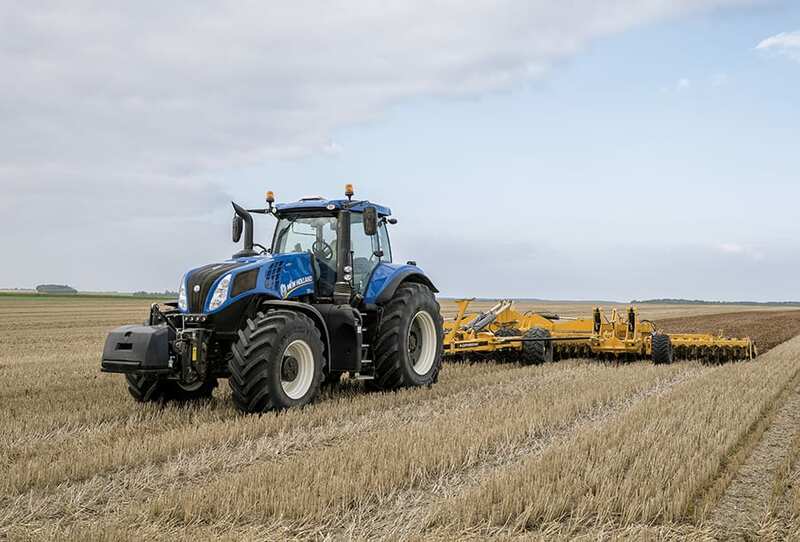 Use the fully automated Headland Turn Sequencing programme to control end of row manoeuvres, which will be even more efficient thanks to the impressive 55° turning angle. Fully integrated front linkage means you can mount your seed hopper with ease. Accuracy. Visibility. Efficiency. T8. The ultra-long wheelbase of up to 3550mm offers outstanding stability when traveling at 50kph, even with fully laden trailers. 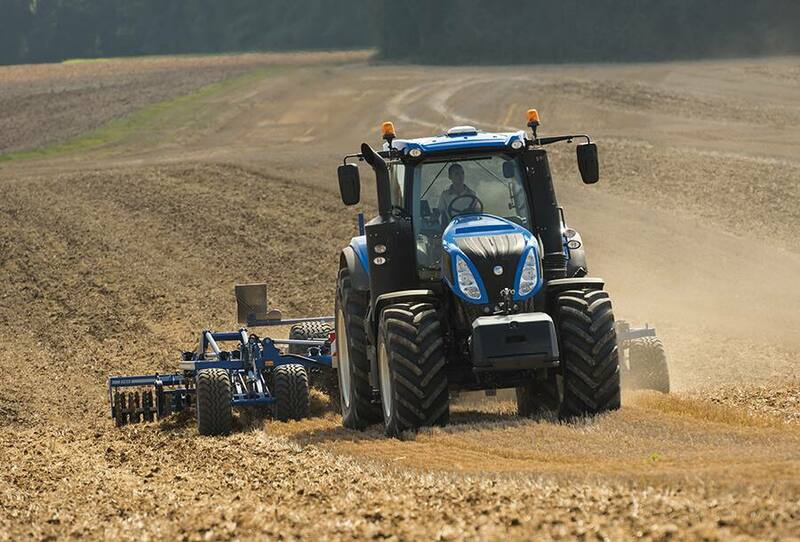 Comfort Ride™ cab suspension and Terraglide™ are your comfort guarantee, cushioning the operator from even the harshest bumps for a silky smooth ride. The Auto Command™ transmission offers outstanding transport efficiency, and the cruise mode will be indispensable during longer journeys. Stability. Comfort. Efficiency. T8. 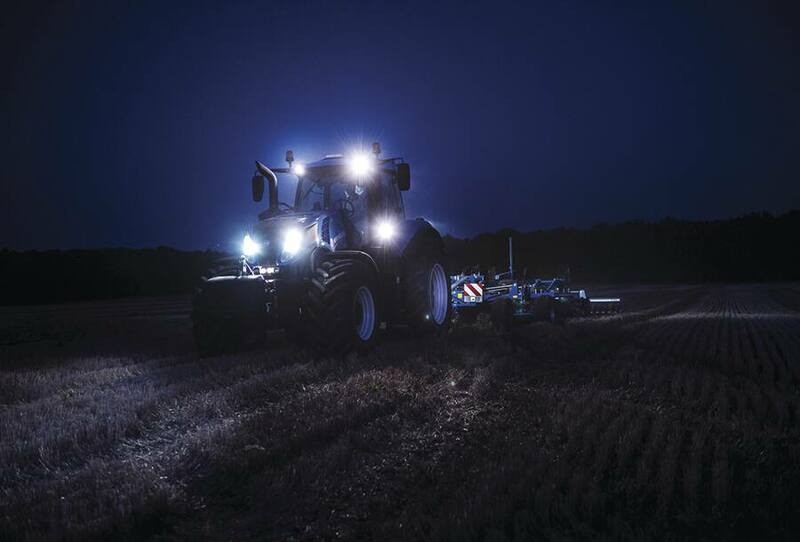 The T8 is also perfectly at home in an industrial setting, whether you’re taking advantage of the high power PTO with direct drive technology to crush stones, or the sky high levels of engine power management during soil stabilisation tasks. Those features will also be appreciated by forestry and woodchip producing businesses. 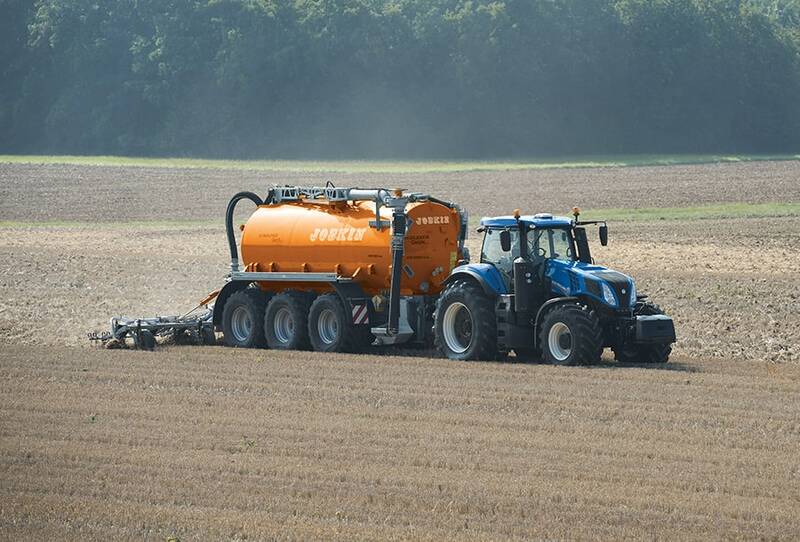 Auto Command, continuously variable transmissions offers precision speed control and 282 litres/minute of hydraulic flow come courtesy of MegaFlow™ technology to make light work of tipping even the largest dump trailers. Throw in one of the highest gross vehicle weights around and the T8 is your perfect partner. Versatility. Precision. Efficiency. T8. 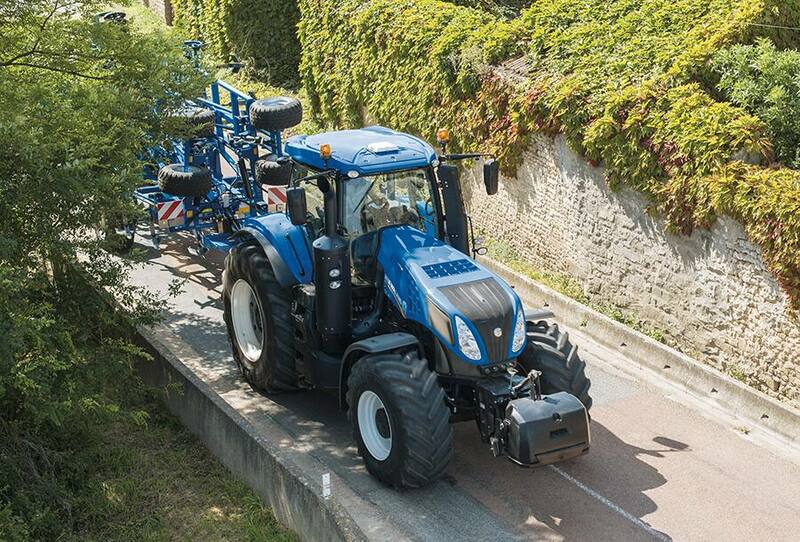 The Blue Power T8.435 Auto Command model offers a premium agricultural experience. Performance and comfort are of supreme importance and its exclusive styling ensures it stands out in a crowd. The distinctive midnight blue color, silver wheels and chrome colored grilles deliver head-turning styling. The luxurious soft leather seat and steering wheel with contrast blue stitching, together with the personalized thick pile cab carpet, are just some of luxury features the Blue Power model offers.